Im a proud new owner of an older but rock steady 6'x12' FastCut table equipped with a FlashCut software package version 1. I have a full time job and have decided after much searching that I would move from having a hobby of metal work to a source of enjoyment and hopefully some profit in the CNC Plasma and light fabrication market. I purchased the FastCut CNC table from an industry shop in Michigan who used it for prototyping small parts, they downsized to a 4'X4' table to save space in their shop. My first impressions with FastCut were what lead me to purchase this used machine. Their website is impressive, and when I talked with the sales guy on pricing a new table he seemed to have lots of time for my many questions and details.... 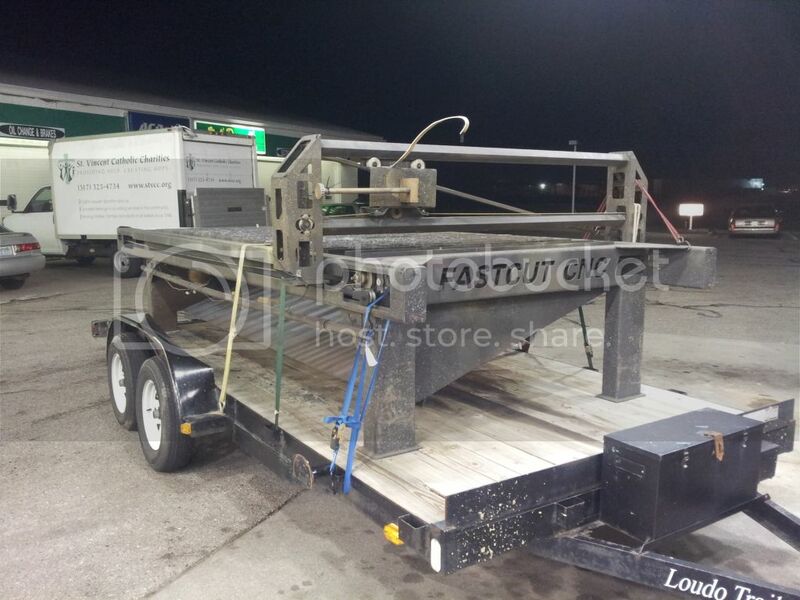 So, I was very happy to say the least to see a used table up for sale within 100 miles of my place. I made this time lapse video of how I had to unloaded it since I dont have 2 forklifts... it worked out perfect, didnt loose any fingers or damage the trailer. So, after a few days I was cooking with fire.... the FlashCut program that came with my table is really easy to understand.... And unlike some users manuals I have read lately.... This was all in clear concise English and really easy for a knuckledragger like me to understand. The really bad thing is that after tuning my machine, tonight was going to be my first paying job... what terrible timing. So, here is my question.... Should I cross over to the Hypertherm side or stick with my boys in Blue... 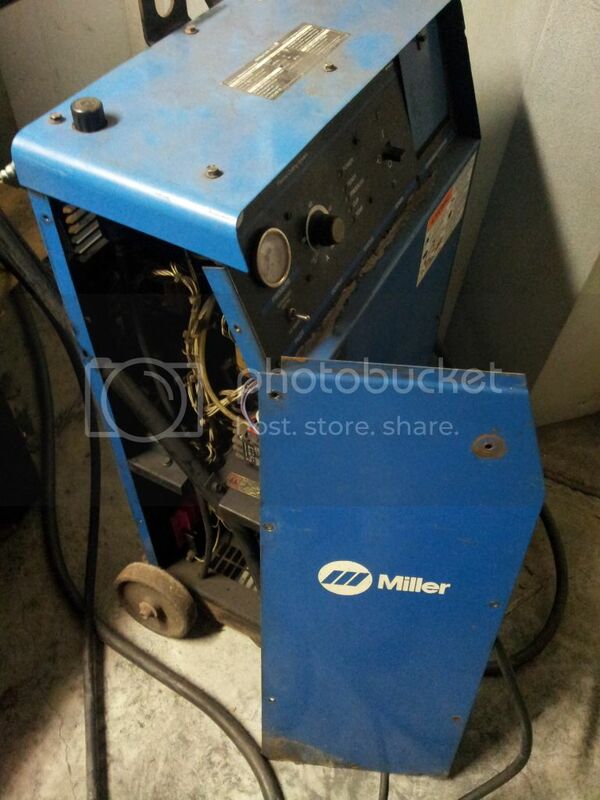 I have a lot of money is Miller gear but this being the second Miller machine I have owned that has lost its smoke... im considering. I like what I have read on the internet from users of the Hypertherm and with my use being light to medium duty with a max steel cutting capability of up to 3/8" steel.... im looking for a recommendation....Ill need a machine torch also. What should I get guys? Rest in Peace Mr. Miller.... you were a good friend while you were around! 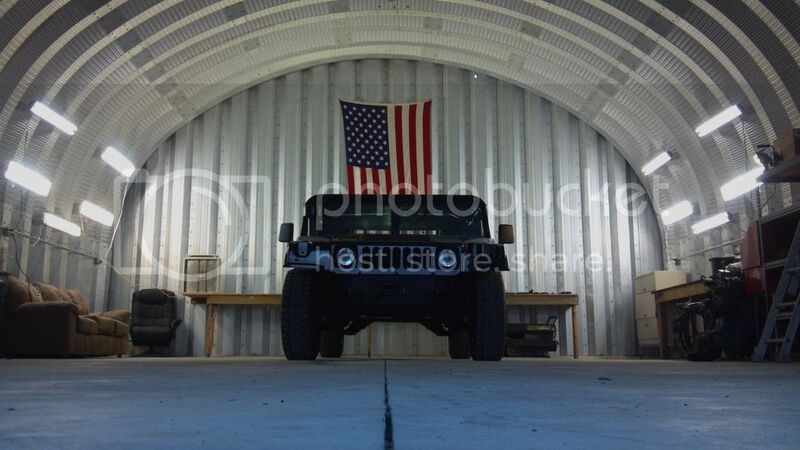 Here are a few pics of my shop, projects, Mr. Miller all burnt up and my other hobby... the Hummer. Im looking forward to learning more from all of you, maybe meeting up with a few Michigan folks. More to follow when the cutter gets here! 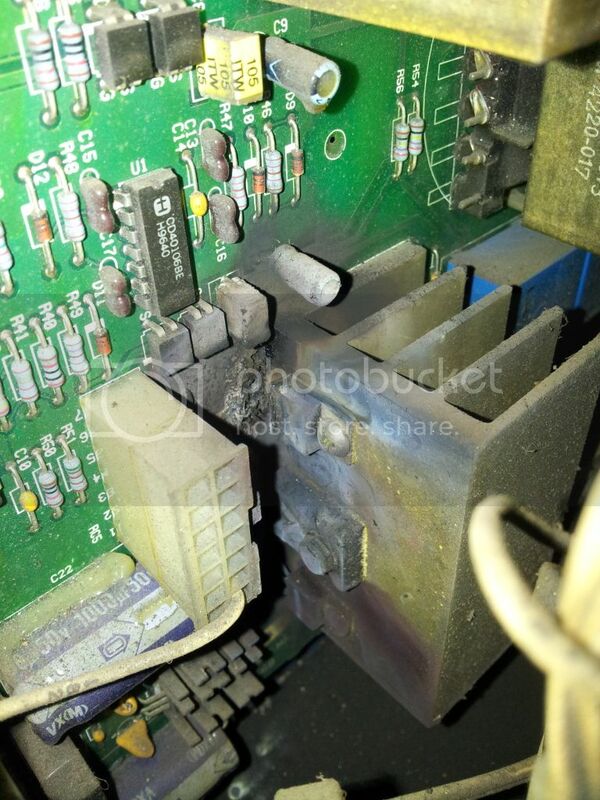 Too bad Hypertherm dosent make welders. "Life is Short, Live it Large"
You absolutely did the right thing by getting a hypertherm. I would have gotten an 85 or the new 105 model though... more money, but lots of capacity. That table is a beast. it can handle some pretty heavy material, but you might be wishing you bought a larger capacity Hypertherm to match the capacity of that plasma table. I'm jealous of that steel building your working out of. We call-em Quonset Huts here, I'd give my left nut for one of them, and enough property to put it on. I bought the Hypertherm because of the great support I have read about. Im sure it will be an awesome machine. The garage is nice, I love the space but honestly it not being insulated it gets pretty dang cold up here in Michigan. I need to do a little researching on how to insulate it. I cant wait to get it all set up to start making stuff. It might be easier and cheaper for you to build an insulated room inside the garage for your workshop area. Leave the non essentials out in the cold area. This way you could climate control where most of the work gets done. 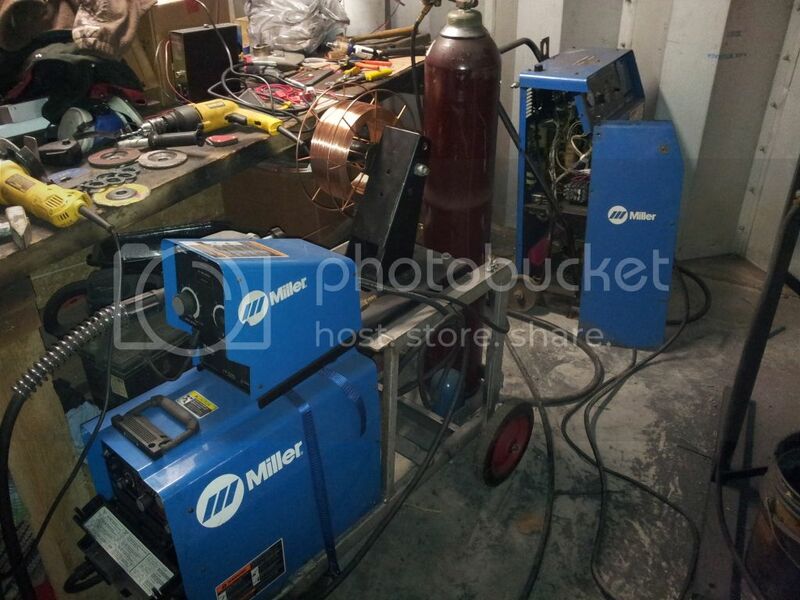 Heat and AC in the work shop area. 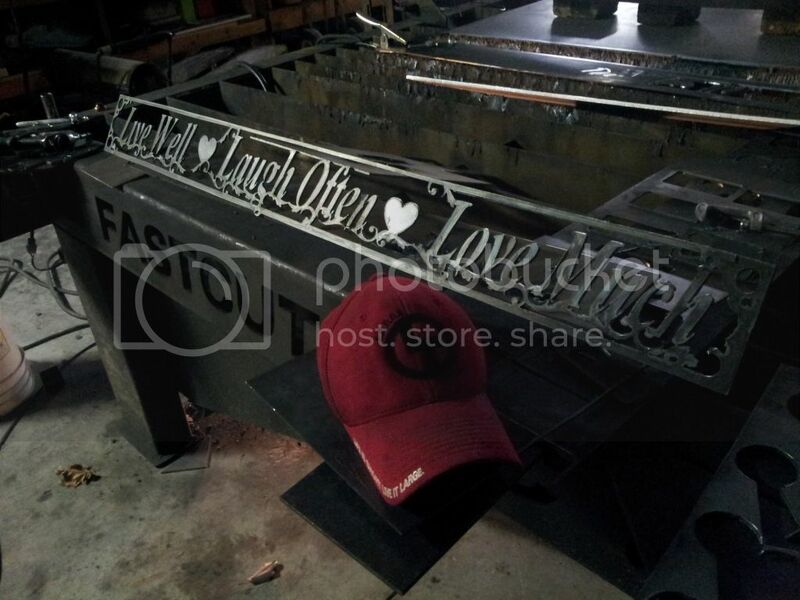 Any Fastcut CNC Plasma Users Here?